Awesome people needed to join our team. 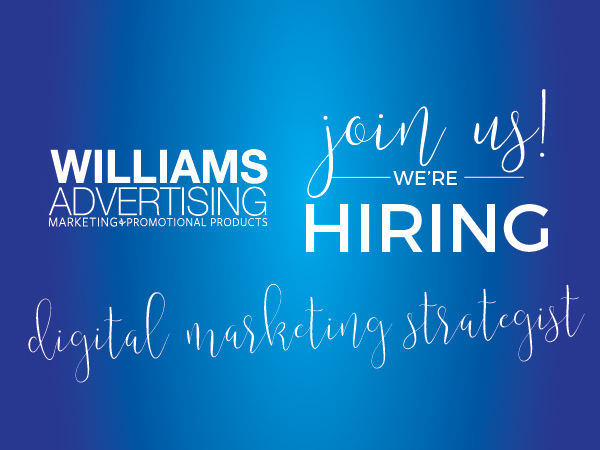 We’re growing our digital marketing division. 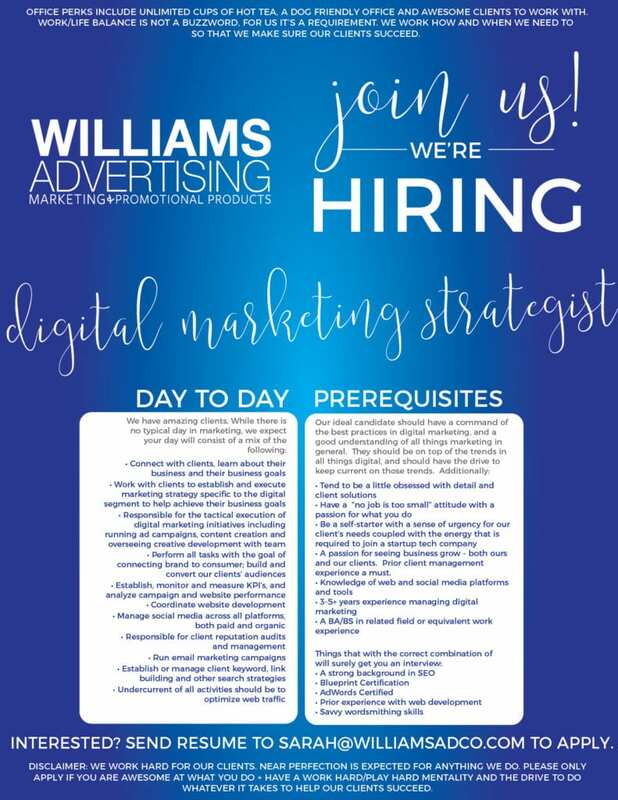 Read the requirements for this position and take a look at the day to day responsibilities. If you’re the ideal applicant, please send your resume in so we can meet you. Keep watching for a second, graphic design position, coming soon.